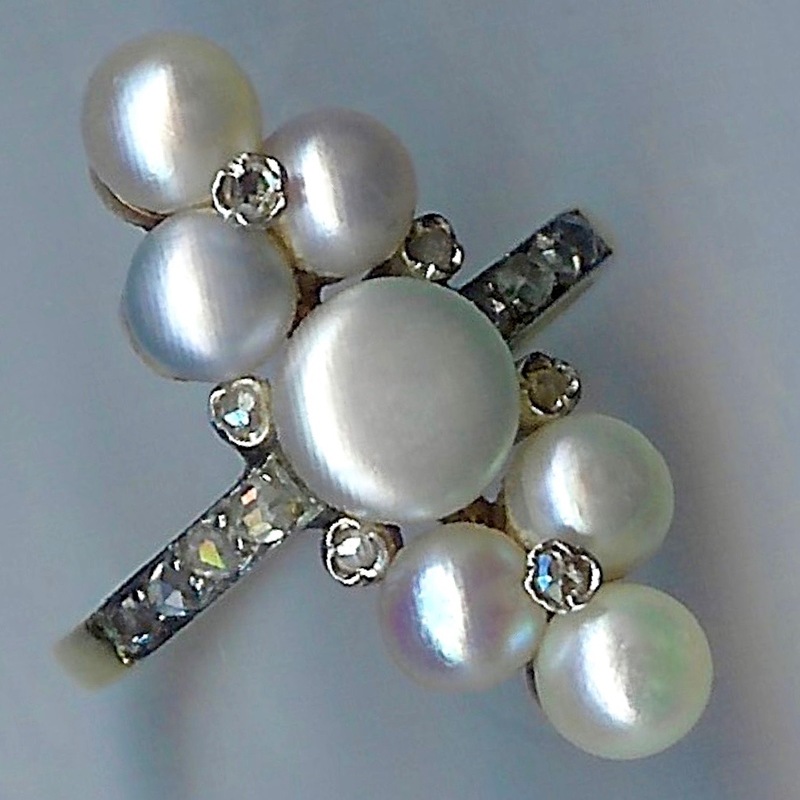 Adorable French Art Nouveau Pearl & Diamond Vintage Cluster Ring [SH10277] - £1,150.00 : loveVintageDiamonds.com, Your Vintage Diamond Dreams Come True! 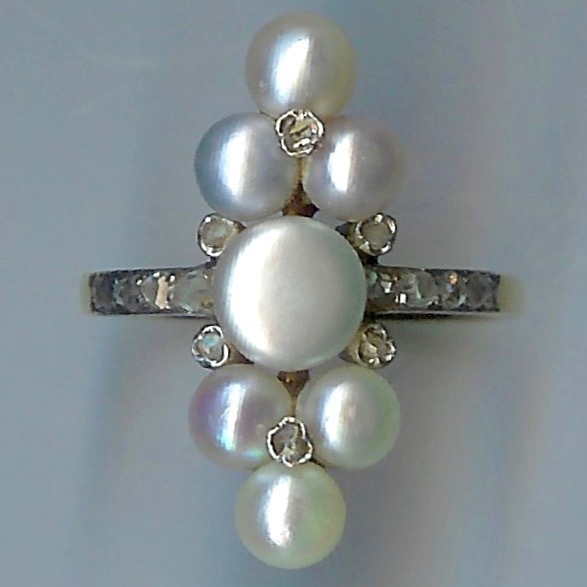 Utterly Adorable Pearl & Diamond Vintage Cluster Ring. French. 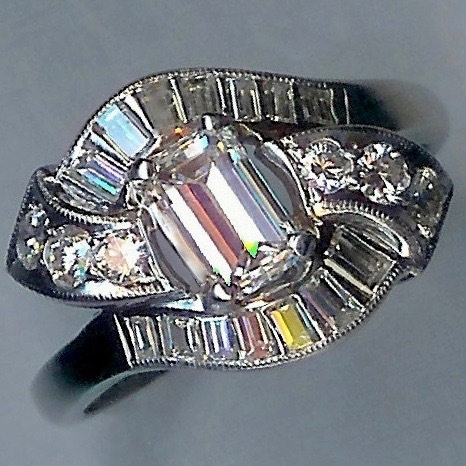 Diamonds & Pearls are a most beautiful combination, and rarely more so than in this stunning Ring from the Art Nouveau period. 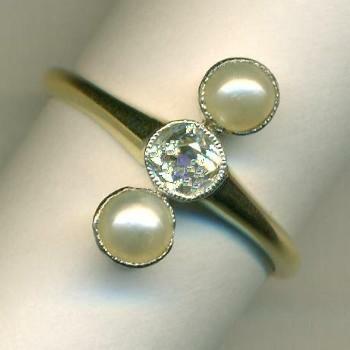 This piece emits the romance and style of the period (approx. 1890-1910). 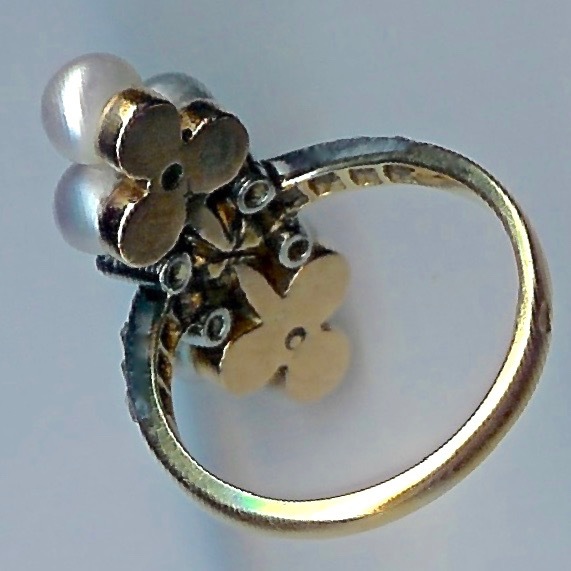 Containing seven pearls and fourteen small diamonds, this gem of a ring has a yellow gold shank and under-bezel which tests as 18ct gold, and the shoulders and settings test as platinum. STONES: Seven pearls. 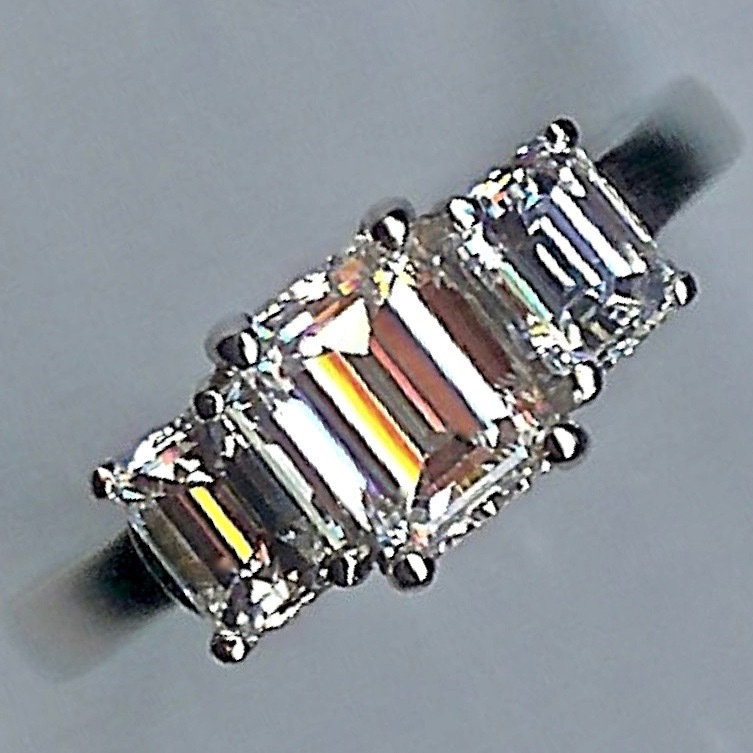 Fourteen mine-cut diamonds. DIAMOND WEIGHT: approx. 0.30cts total.